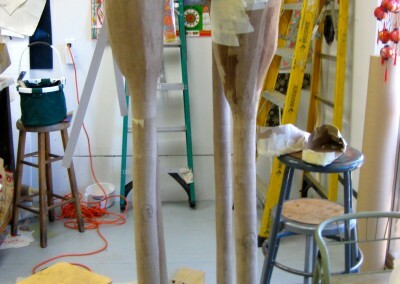 I wanted to show how the legs were made. 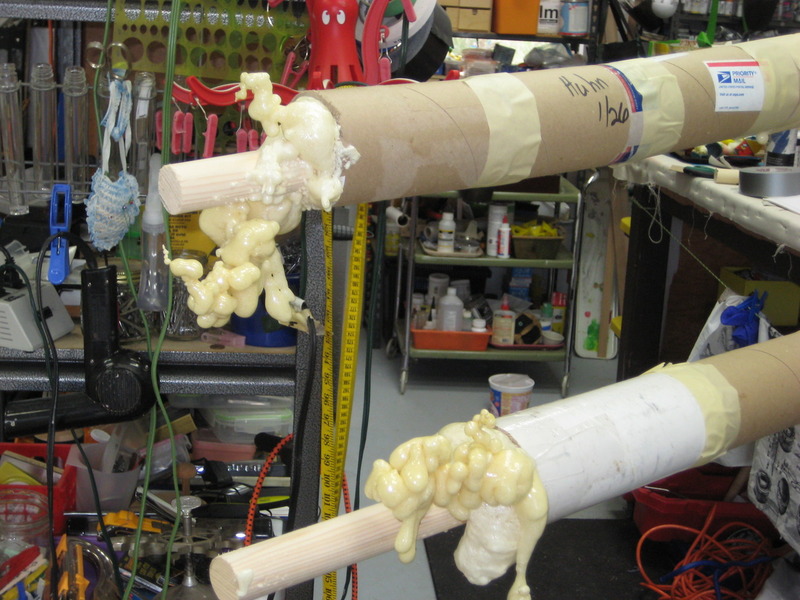 Dowels, 3” cardboard mailing tubes and tape tubes, then shot full of foam. 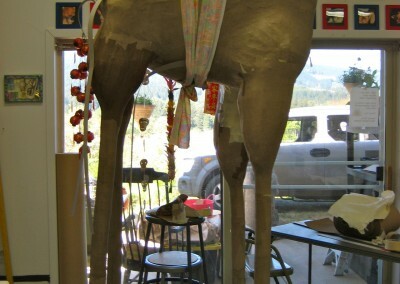 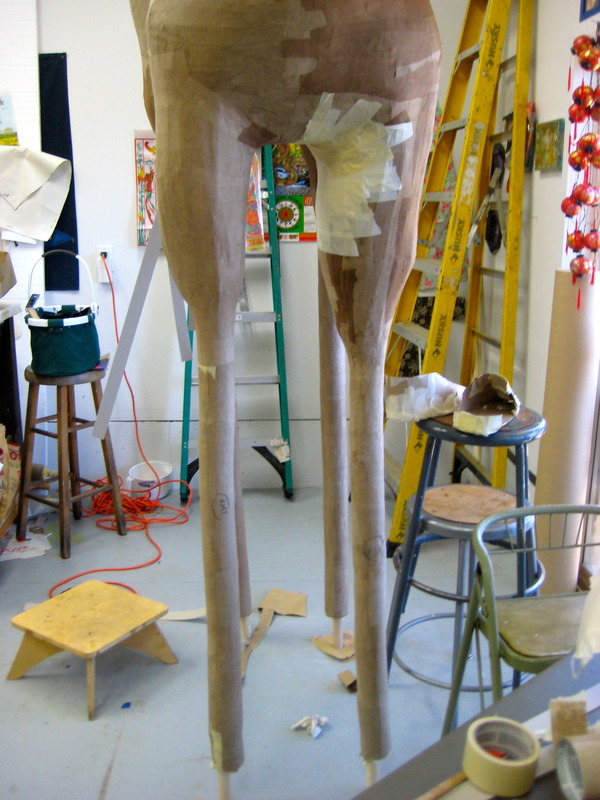 Finally the legs are straight, sawed the legs off one at a time at the upper thigh (do giraffes have thighs?) 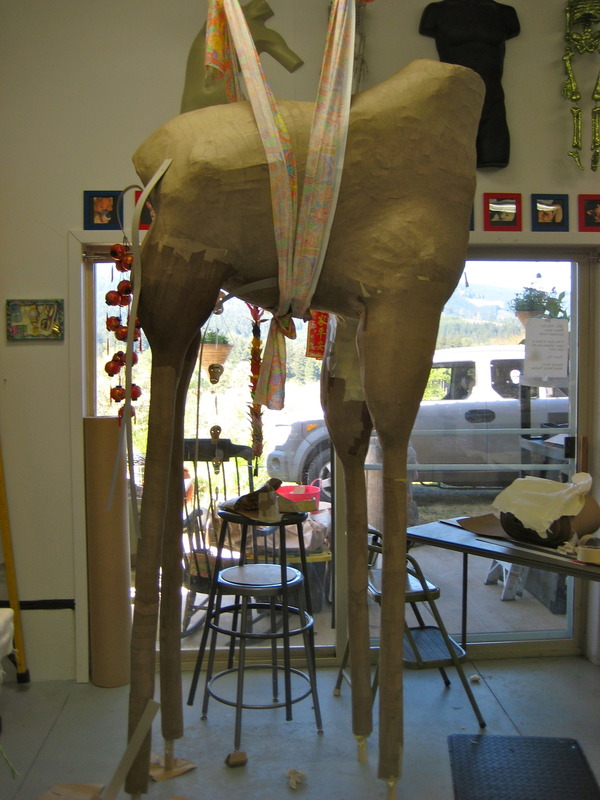 Now it’s time to start shaping the torso.